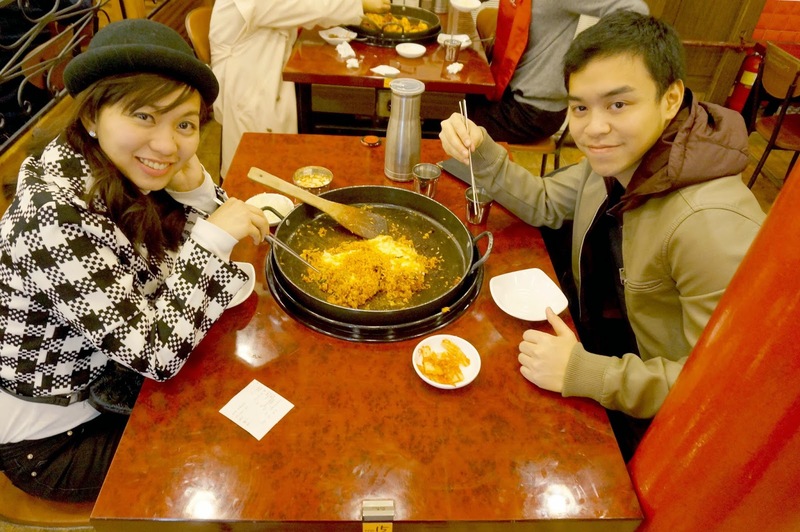 Not only is Myeongdong a shopping mecca, it is also a district that serves a wide variety of restaurants. Here are some notable ones you might want to try. We've known Yoogane ever since its first branch opened in Quezon City a few years ago. It has become ChaMike's regular favorite so it was a big shock when the one and only branch in the Philippines closed recently. Mike was truly devastated, so getting to experience our fave Korean restaurant in its actual origin was at the top of our list. 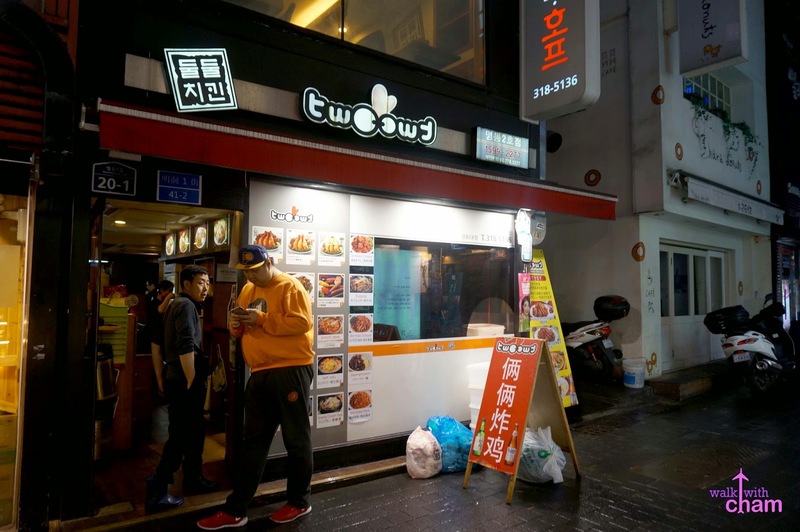 Yoogane is one of the longest running restaurant chains in Korea. Good thing they have two branches in Myeongdong (yes two! that's how popular it is here). They are famous for the Chicken Dak Galbi which we love. Chicken Dak Galbi is a spicy stir fried chicken dish with veggies (we love it with mozzarella). 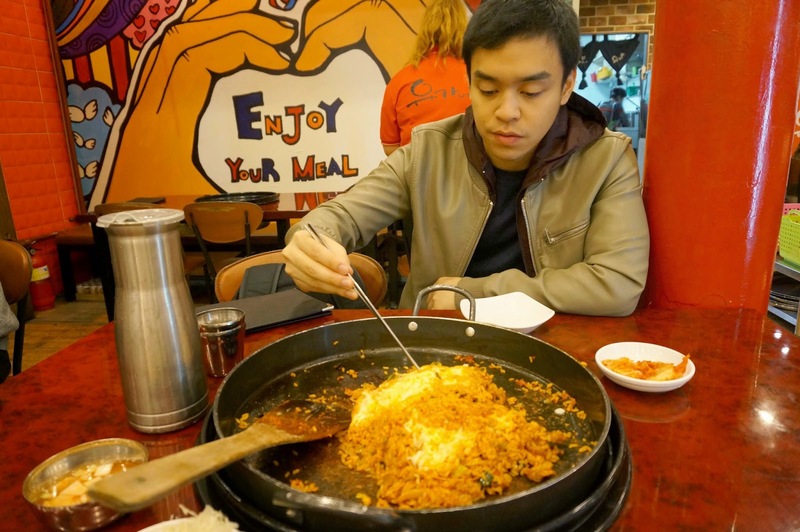 For only 6,000 won (P240) you have one order of Chicken Dak Galbi with rice. This was a revelation. The only restaurant that was open when we reached Seoul during our first day. The menu from the facade looked tempting so we settled on eating at Two Two Chicken (later on we realized that this was just one of the hundreds of branches around Seoul). Two Two Chicken serves well, chicken. Fried crispy delicious chicken! 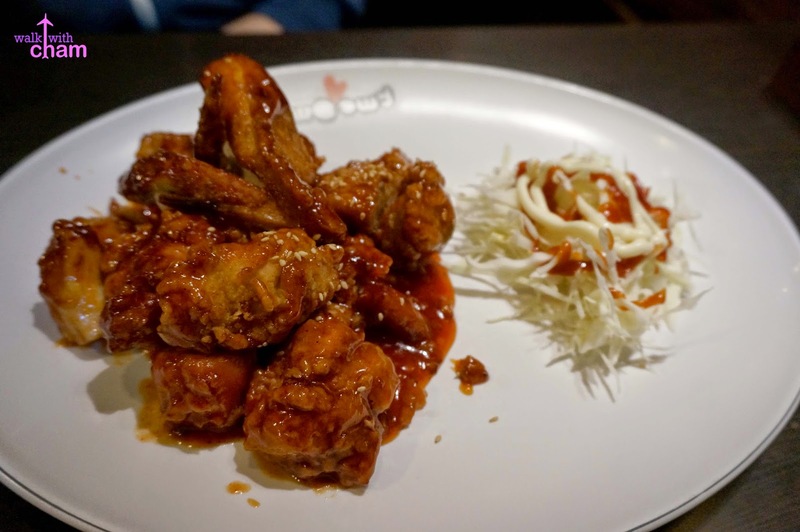 South Korea is also well known for having their own version of KFC (Korean Fried Chicken) and Two Two Chicken serves one of the best. We ordered Sweet and Spicy Chicken and we loved it. The sauce was really good, the skin was crispy as ever and the meat was oh so tender. 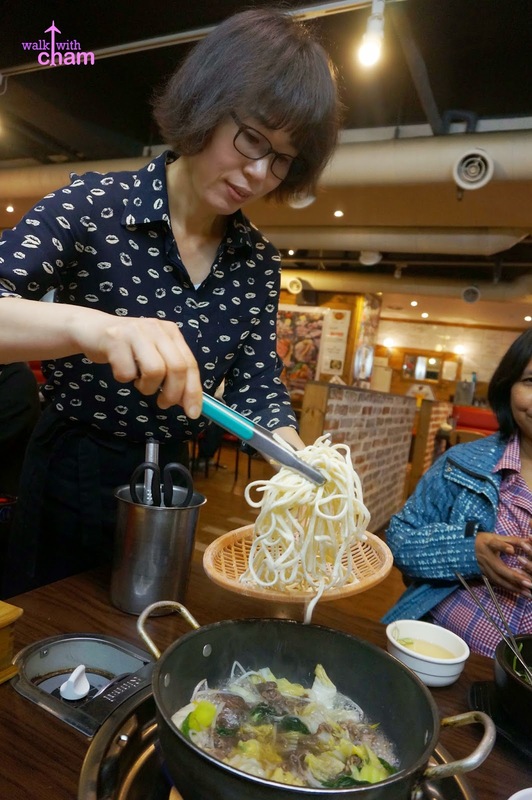 Located just at the basement of our hotel- J Hill Hotel Myeongdong is an authentic Korean restaurant famous for their shabu-shabu at a very reasonable price. Shabu Shabu is a piece of thinly sliced pork cooked with veggies in a boiling broth. Of course we ordered their Beef Shabu Shabu set for 9,000 won (P370). The price is really reasonable. 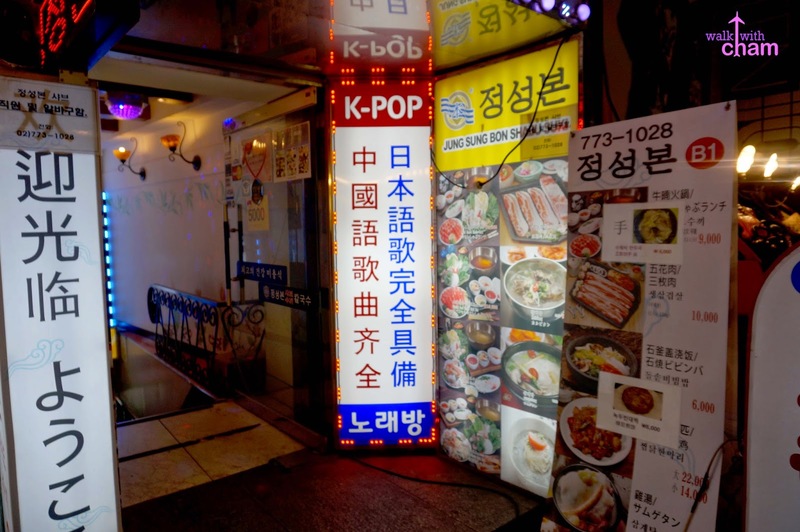 it is located at the main street of Myeongdong. So if you want cheap, but good food and ambiance I really recommend you to try it here. Too bad we just discovered the restaurant on our third day. Look for J Hill Hotel. The restaurant is at the basement. 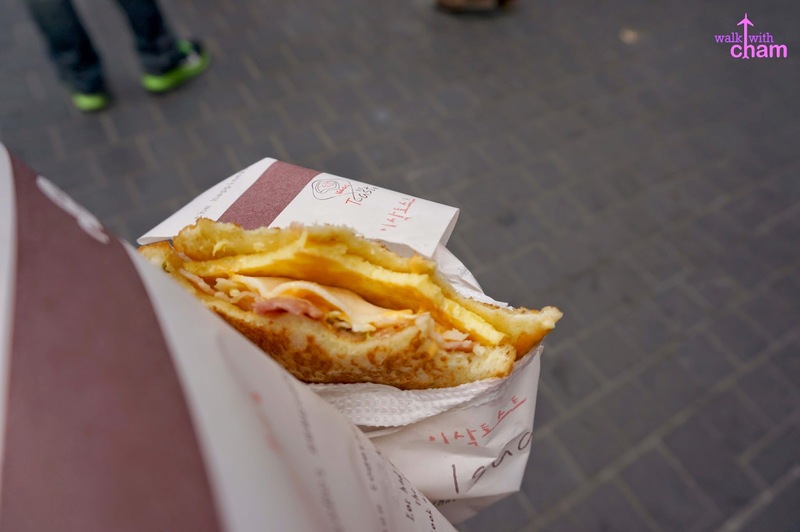 A well known food stall in Myeongdong is Isaac Toast. I read a lot of reviews about it online and because they have a branch in Myeongdong we joined the bandwagon and gave it a try on our last day in Seoul. Indeed it was so popular that we had to line up for a good 15-20 minutes to be able to order. 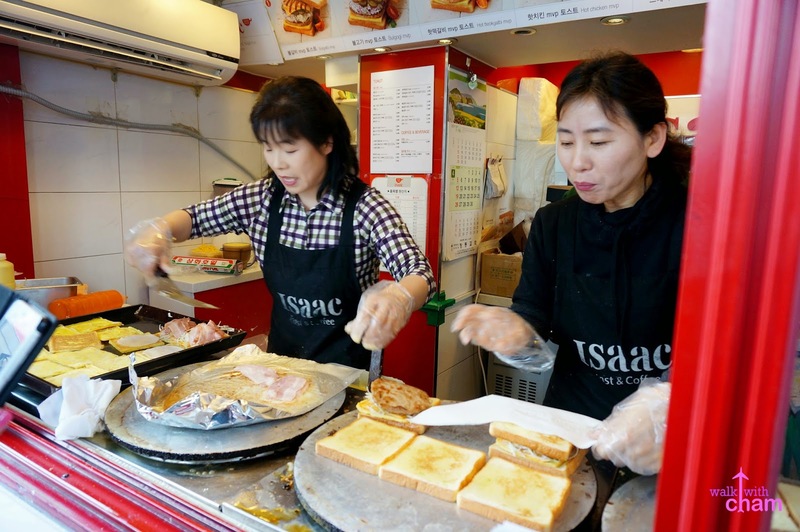 Isaac Toast is a sandwich stall that is quite popular with locals & tourists. They offer many options to choose from. The concept is just simple but the their product is really good and cheap hence the reason why customers flock to their stall no matter how long the queue is. Because this was our lunch, I ordered two - Bulgalbi MVP 3,200 won & Bacon Best 2,800 won plus a shake. 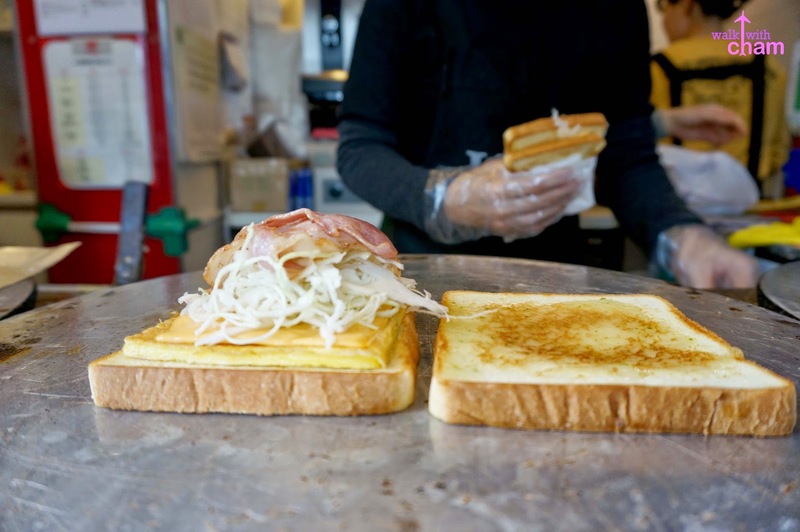 The order is prepared in front of you and the aroma of the melting butter on the grilling toast can be titillating. Aside from butter they put cabbage, eggs, cheese and sauce plus your meat of choice. The combination of these ingredients made the toast savory & delectable. I was already satisfied with just one toast. It was already a filling lunch so I set aside the other one to eat when I get hungry but when I ate it a few hours after it was not as yummy as the first. So it's really important to eat it while its hot.